My grand entry into the babywearing world was 5 and a half years ago when I gave birth to my daughter. She was my first baby, but my fourth pregnancy after 3 losses. I knew early on that I’d always need to keep her close, as I had waited so long for her. Our first carriers were a bjorn, moby and a ring sling. I eventually splurged and bought a Babyhawk Mei Tai when my daughter was 3 months old. 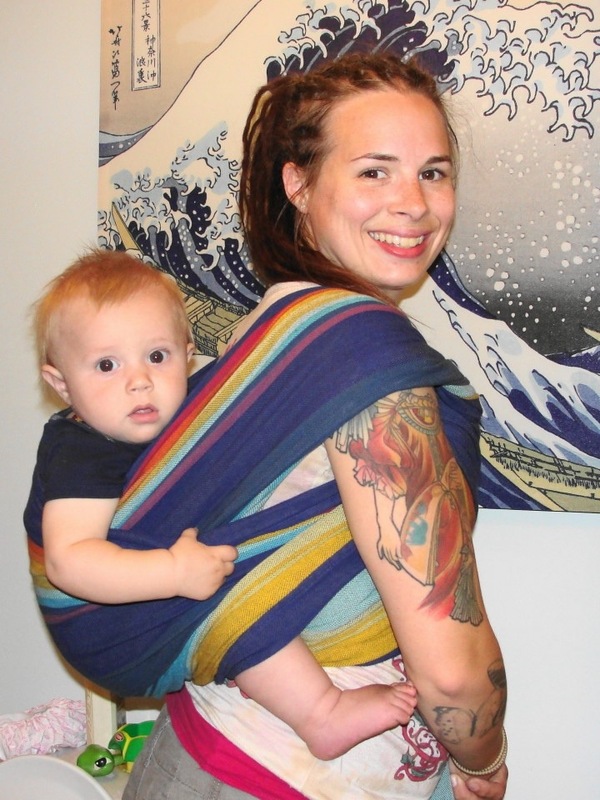 As we moved along in our babywearing journey, we made our own ring slings. 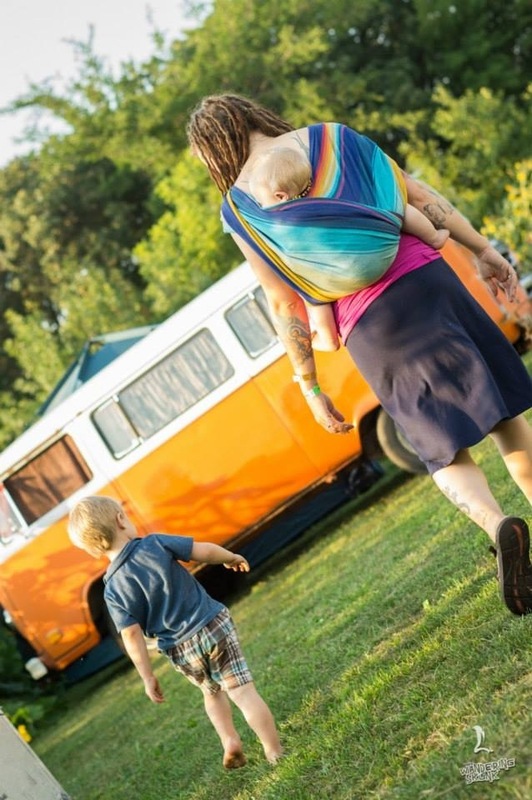 It wasn’t until I became pregnant with my second child who was born in the summer of 2010 that I found the babywearing community and woven wraps. And I’ve been hooked every since! 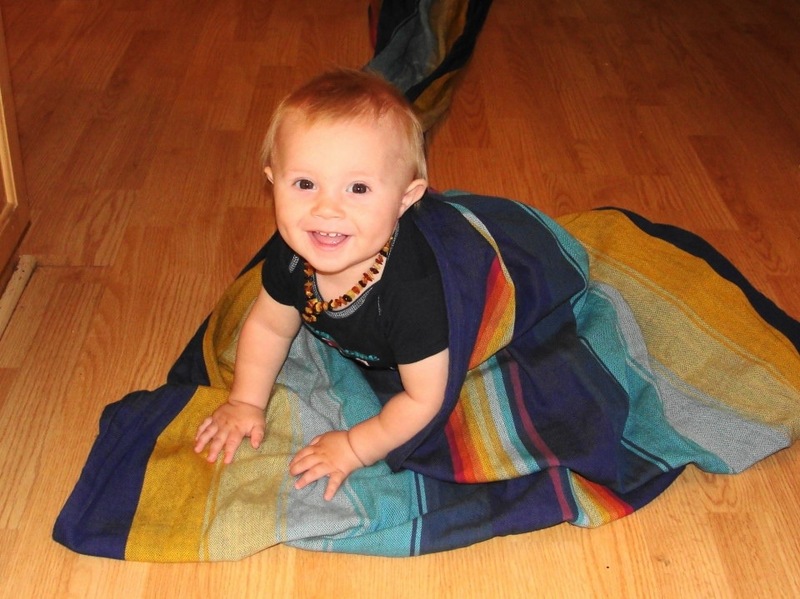 In January of 2013, I was cruising one of the babywearing chat groups on Facebook and stumbled upon Micah’s Rainbow. I immediately fell in love with the colors. I thought it was the perfect wrap for my newest little boy that was born in November 2012 and after reading Jennifer’s story, I really wanted to make her something from this wrap more than anything (hoping she’ll have them next week!). I think aside from the esthetics of the wrap design and color, I was most struck by Jennifer’s strength. I raise two children with Autism and can relate to the struggles of being given a diagnosis and working through the stages of grief while also caring for other family members. Its hard and I am constantly reminded of how lucky I am to be able to hold them every day. I admire that she and her family could rise up in such a trying time to strategize how Micah’s life would be celebrated and remembered. He’s everywhere now. Micah went global and is felt and thought about by people that have never met him, but will always hold a special place in our hearts and wrap stashes. Thank you to the Canvasser family for sharing a piece of their lives with the world. Their strength, love, unity and positivity is admirable and powerful. Can I use your text and photos on exclusivegirasol.blogspot.com ?